Austin P. Campbell | Dallas Employment Lawyers Rob Wiley, P.C. Austin P. Campbell is a trial attorney in the Dallas office of Rob Wiley, P.C. 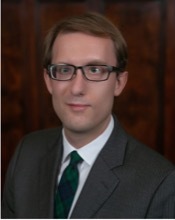 Mr. Campbell graduated from Vanderbilt University School of Law in 2016. At Vanderbilt, Mr. Campbell was on the Dean’s List and was an Articles Editor for the Vanderbilt Journal of Transnational Law. His student note, Riding a “Friendly Elephant?” How African Nations Can Make the Best of Economic Partnership with China , was published in March 2016. Mr. Campbell discovered his passion for helping employees navigate the world of employment law at Vanderbilt, where he was a member of the Labor and Employment Law Society and the Civil Practice Clinic. While in law school, Mr. Campbell also interned with federal District Judges Jorge Solis and John T. Nixon, Tennessee Criminal Court Judge Monte Watkins, and the Tennessee Attorney General’s Office. Mr. Campbell graduated Phi Beta Kappa from Emory University, where he studied Political Science and Economics. At Emory, Mr. Campbell was a contributor with the student newspaper and active in the Fencing Club and Model UN. Both in law school and college he volunteered with numerous organizations, especially those devoted to helping shelter animals. Mr. Campbell grew up in Plano, Texas, and graduated from Plano Senior High School. Mr. Campbell is currently licensed to practice law in Texas and Tennessee.